Tesla temporarily shut down production in February. A spokesman for the automaker referred to a statement from the first pause. Tesla took its war with the media to new levels this week, calling a Pulitzer finalist news outlet for investigative journalism an “extremist organization” after reports claiming Tesla underreports injuries to keep a good safety record. 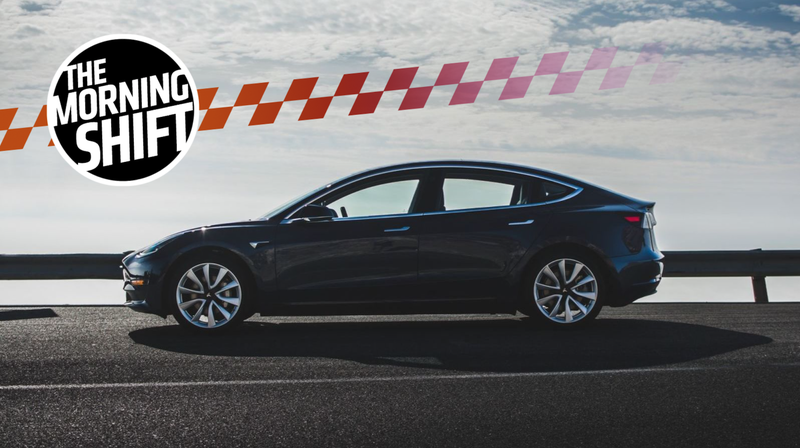 Even if the production pauses are what Tesla considers normal, it’s likely to be another source of frustration from prospective owners, and at a time when the company is under more scrutiny than ever. Over the next five years, The Nikkei reports that China will reel back restrictions on foreign ownership of auto companies. The country, which has a massive car market, lets foreign automakers own up to a 50-percent share of local ventures and were, according to the Associated Press, limited to two ventures. Those rules forced foreign auto companies who wanted a share in China-based companies to work through state-owned partners, the AP reports, making them share technology with possible competitors. It also helps protect Chinese companies from international competition, according to The Nikkei. Automakers went along with the rules because they wanted in—China’s market has been the biggest by vehicles sold since it passed the U.S. in 2009, according to the AP. But the National Development and Reform Commission in China announced Tuesday that those rules would be done for in a few years—a decision that, along with other moves to open up the country’s economy, The Nikkei reports to potentially be a method of calming down trade disputes with the United States. Chinese officials said it had nothing to do with the disputes, the AP reports. Observers see Beijing’s move to open up the economy as part of efforts to calm down the trade dispute with Washington that had intensified recently as the U.S. threatened to hike tariffs on as much as $150 billion of Chinese goods. Full foreign ownership is expected to encourage global electric vehicle makers to set up wholly owned plants in China. Tesla has unveiled a plan to set up a manufacturing plant in Shanghai. [The commission] added that all foreign ownership limits in the ship and aircraft manufacturing sectors will also be scrapped in 2018. The removal of restrictions also has to do with electric cars, showing “growing official confidence in China’s young but fast-growing automakers” and the “desire to make the industry more flexible” as electric cars get more popular, according to the AP. An analyst quoted in the story said Chinese automakers are on more of a level ground with other companies now than they were with the internal-combustion engine. While Chevrolet and everyone else are quick to tell us how we can buy coffee and donuts while driving down the road thanks to their new connected apps in cars, Bloomberg reports that Japanese automakers like Toyota and Nissan could be falling behind in that category thanks to their own home markets. Instead of choosing connectivity services built into the dashboard, Japanese drivers prefer to hook up their smartphones to the car’s systems to, for example, listen to streamed music. That means the data flows through the smartphone provider, typically Apple Inc. or Google, denying the car companies a massive opportunity. The data generated from smarter and connected cars will create a market as big as $750 billion by 2030, according to an estimate by McKinsey & Co.
SBD Automotive predicts that two-thirds of cars in U.S. and Europe will have connected features in 2020. In Japan, such services will be in less than a third of vehicles that year, the consultancy forecasts. Bloomberg compared this situation to the shift to smartphones a decade ago, when Japanese brands missed the window because a lot of customers there favored—and still do favor—flip phones. Peugeot’s parent company, PSA, bought the suffering Opel and Vauxhall from General Motors when it just couldn’t do that whole “losing money all the time” stuff anymore. Now those companies are feeling the cost cuts from their new owner. Automotive News reports that PSA will chop Opel and Vauxhall dealers to help curb and turn around the falling demand. European consumers are increasingly going online rather than making multiple visits to showrooms. A CEO of a dealership group who asked not to be named told Reuters recently that Vauxhall wants to cut showrooms by a third to around 200 so that its sales numbers per showroom are “in a good place,” according to the story. If you can’t make the overall numbers look good, scheme your way into a nice average and you should be able to survive a little longer. After three consecutive down months, Reuters reports that U.S. retail sales bounced back in March thanks to big purchases—like cars. A lot of those cars were probably crossovers. The Commerce Department said on Monday retail sales increased 0.6 percent last month after an unrevised 0.1 percent dip in February. January data was revised to show sales falling 0.2 percent instead of the previously reported 0.1 percent drop. Economists polled by Reuters had forecast retail sales rising 0.4 percent in March. Retail sales in March increased 4.5 percent from a year ago. Excluding automobiles, gasoline, building materials and food services, retail sales rose 0.4 percent last month after being unchanged in February. Reuters has more on how much people are—and aren’t—spending lately here. Not only do women run the world, they fly around it, too. Geraldine Mock, known as “Jerrie,” finished a solo flight around the world on April 17, 1964. She became the first woman to do so, with a Federal Aviation Administration profile saying she made the 23,103-mile flight in 29 days, 11 hours and 59 minutes. The profile says Mock got her private pilot certificate in 1958 and had flown over 700 hours by 1962, but that she had no time over water. That’s when her husband jokingly suggested that she fly around the world, so she did. Neutral: What’s Your Take On Ordering Coffee From Your Car? Is it really that much of a time saver to tap an icon on your car’s infotainment screen and go pick up coffee or donuts afterward, or would you rather just park and go in somewhere? The last thing it seems like we all need is another screen to distract us while we’re on the road.